Affect Dynamics in Relationships (ADR) Lab: https://adrlab.weebly.com/. 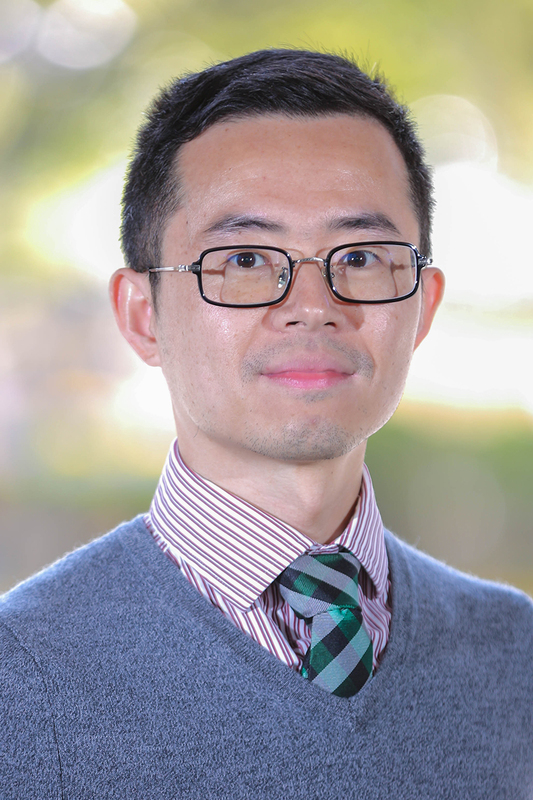 Professor Cui’s research focuses on child and adolescent social and emotional development in various contexts, with a focus on emotion socialization in family, school, peer, and cultural contexts. Particularly, Cui is interested in physiological measures of stress and emotion (e.g., respiratory sinus arrhythmia, skin conductance, heart rate, cortisol) during social interactions. A second line of Cui’s research concerns mental health and family dynamics among LGBT youth and young adults. His work has appeared in prestigious scientific journals such as Child Development, Emotion, Journal of Abnormal Child Psychology, Journal of Family Psychology, the Journal of Early Adolescence, and Parenting: Science and Practice. Cui is an ad hoc reviewer for the Child Development, Developmental Science, Journal of Abnormal Child Psychology, Journal of Research on Adolescence, Journal of Adolescence, Biological Psychology, Developmental Psychobiology, Infant and Child Development, Journal of Personality and Social Psychology, among others. He is a member of Society for Research on Adolescence (SRA), and Society for Research in Child Development (SRCD). He has also been a reviewer for American Psychological Association (APA) Division 44 student research awards. Morris, A. S., Cui, L., Criss, M. M., & Simmons, W. K. (2018). Emotion regulation dynamics during parent-child interactions: Implications for research and practice. In P. M. Cole & T. Hollenstein (Eds. ), Emotion regulation: A matter of time. Oxford, UK: Routledge. Cui, L., & Morris, A. S. (2017). Parenting and child adjustment. In A. E. Wenzel (Ed. ), The Sage Encyclopedia of abnormal and clinical psychology. Thousand Oaks, CA: Sage. Zhang, X., Cui, L., Han, Z. R., & Yan, J. (2017). The heart of parenting: Parent HR dynamics and negative parenting while resolving conflict with child. Journal of Family Psychology. Cui, L., Colasante, T., Malti, T., Ribeaud, D., & Eisner, M. P. (2016). Dual trajectories of reactive and proactive aggression from mid-childhood to early adolescence: Relations to sensation seeking, risk taking, and moral reasoning. Journal of Abnormal Child Psychology, 44, 663-675. Cui, L., Morris, A. S., Harrist, A. W., Larzelere, R. E., Criss, M. M., & Houltberg, B. J. (2015). Adolescent RSA responses during an anger discussion task: Relations to emotion regulation and adjustment. Emotion, 15, 360-372. Cui, L., Morris, A. S., Harrist, A. W., Larzelere, R. E., & Criss, M. M. (2015). Dynamic changes in parent affect and adolescent cardiac vagal regulation: A real-time analysis. Journal of Family Psychology, 29, 180-190. Cui, L., Morris, A. S., Criss, M. M., Houltberg, B. J., & Silk, J. S. (2014). Parental psychological control and adolescent adjustment: The role of adolescent emotion regulation. Parenting: Science and Practice, 14, 47-67. Morris, A. S., Cui, L., & Steinberg, L. (2013). Parenting research and themes: What we’ve learned and where to go next. In R. E. Larzelere, A. S. Morris, & A. W. Harrist (Eds.). Authoritative parenting: Synthesizing nurturance and discipline for optimal child development (pp. 35-58). Washington, DC: American Psychological Association.